Ambassador Zainal Abidin Bakar started his service at the Ministry of Foreign Affairs in 1988. He was the Undersecretary of OIC and Regional Cooperation Division since 2013 prior to his appointment as Ambassador of Malaysia to Spain. He was previously the Ambassador of Malaysia to the Czech Republic from 2009 to 2013, Undersecretary of East Asia Division from 2007 to 2009 and Counsellor at the Embassy of Malaysia in Brussels, Belgium from 2002 to 2006. Ambassador Zainal Abidin Bakar had also served as First Secretary at the Embassy of Malaysia in Hanoi, Vietnam from 1996 to 1999 and as Second Secretary at the Embassy of Malaysia in Tokyo, Japan from 1993 to 1996. 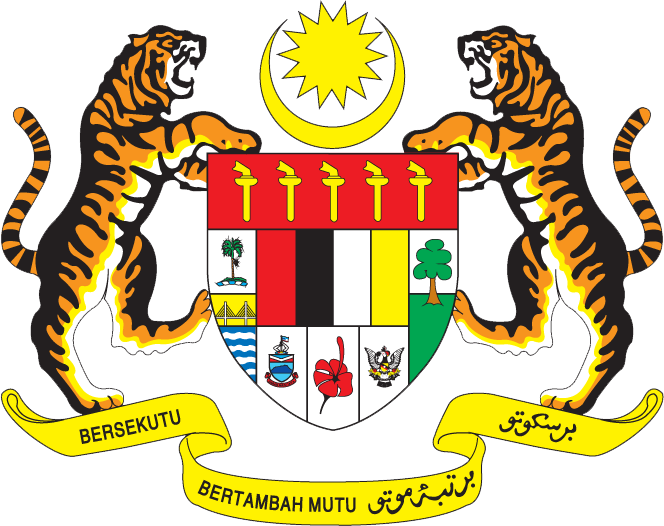 Mr. Syed Md Hasrin Tengku Hussin @ Syed Hussin joined the Malaysian Public Service in 1994. He was the Undersecretary of South East Asia Division since 2014 prior to his appointment as Ambassador of Malaysia to United Arab Emirates. He was previously the Deputy Head of Mission at the Embassy of Malaysia in Jakarta, Indonesia from 2010 to 2014, Consul General of Malaysia in Dubai, United Arab Emirates from 2008 to 2010 and Special Officer to the Minister of Foreign Affairs from 2004 to 2006. Mr. Syed Md Hasrin Tengku Hussin @ Syed Hussin had also served as Second Secretary at the Permanent Mission of Malaysia to the United Nations in New York, United States of America from 2000 to 2004 and as Special Officer to the Secretary General of Ministry of Foreign Affairs from 1998 to 2000. Dato’ Rustam Yahaya joined the Malaysian Public Service in 1989. He was the Undersecretary of Americas Division since 2016 prior to his appointment as Ambassador of Malaysia to Islamic Republic of Iran. He was previously the Ambassador of Malaysia to Oman from 2011 to 2014, Minister Counsellor at the High Commission of Malaysia in London, United Kingdom from 2007 to 2011 and Principal Assistant Secretary of Americas Division from 2003 to 2007. Dato’ Rustam Yahaya had also served as First Secretary and subsequently Counsellor at the Embassy of Malaysia in Yangon, Myanmar from 1999 to 2003 and as Second Secretary at the Embassy of Malaysia in Kuwait from 1993 to 1997. Ambassador Cheong Loon Lai joined the Malaysian Public Service in 1994. He was the High Commissioner of Malaysia to Ghana from 2014 prior to his appointment as Ambassador of Malaysia to Hungary. He was previously the Undersecretary of Multilateral Economic and Environment Division from 2011 to 2014, Consul General of Malaysia in Hong Kong, China from 2008 to 2010 and Counsellor at the Embassy of Malaysia in Moscow, Russia from 2005 to 2008. Ambassador Cheong Loon Lai had also served as Principal Assistant Secretary of Regional Cooperation, Social and Cultural Division from 2002 to 2005 and as Second Secretary at the Embassy of Malaysia in Washington DC, United States of America from 1996 to 2001. Dato’ Hidayat Abdul Hamid joined the Malaysian Public Service in 1992. He was the Ambassador of Malaysia to Kazakhstan since 2014 prior to his appointment as High Commissioner of Malaysia to India. He was previously the Deputy Director at the South East Asia Regional Centre for Counter-Terrorism (SEARCCT) from 2011 to 2014, Consul General of Malaysia in Jeddah, Saudi Arabia from 2007 to 2011 and Counsellor at the High Commission of Malaysia in Bandar Seri Begawan, Brunei from 2005 to 2007. Dato’ Hidayat Abdul Hamid had also served as First Secretary at the Embassy of Malaysia in Buenos Aires, Argentina from 1999 to 2003 and as Second Secretary at the High Commission of Malaysia in Colombo, Sri Lanka from 1996 to 1999. Mrs. Anizan @ Siti Hajjar Adnin started her service at the Ministry of Foreign Affairs in 1994. She was the Deputy Permanent Representative of Malaysia to the United Nations in New York, United States of America since 2014 prior to her appointment as Ambassador of Malaysia to Republic of Ireland. She was previously the Deputy Permanent Representative at the Permanent Mission of Malaysia to the United Nations in Geneva, Switzerland from 2008 to 2012 and Principal Assistant Secretary of Regional Cooperation, Social and Cultural Division from 2005 to 2008. Mrs. Anizan @ Siti Hajjar Adnin had also served as Second Secretary at the Permanent Mission of Malaysia to the United Nations in New York, United States of America from 1996 to 2000. Mr. Mohd Aini Atan joined the Malaysian Public Service in 1994. He was the Deputy Chief of Protocol since 2012 prior to his appointment as Ambassador of Malaysia to Lao PDR. He was previously the Consul General of Malaysia in Songkhla, Thailand from 2008 to 2012 and Principal Assistant Secretary of North Africa Division from 2005 to 2008. Mr. Mohd Aini Atan had also served as Second Secretary at the Embassy of Malaysia in Damascus, Syria from 2002 to 2005 and as Assistant Secretary of Global Economy Division from 1999 to 2002. Mr. Syed Mohamad Bakri Syed Abdul Rahman started his service at the Ministry of Foreign Affairs in 1994. He was the Director at the Institute of Diplomacy and Foreign Relations (IDFR), Kuala Lumpur since 2014 prior to his appointment as Ambassador of Malaysia to Kazakhstan. He was previously the Consul General of Malaysia in New York, United States of America from 2011 to 2014, Consul General of Malaysia in Jeddah, Saudi Arabia and subsequently Counsellor at the Embassy of Malaysia in Bangkok, Thailand from 2007 to 2011. Mr. Syed Mohamad Bakri Syed Abdul Rahman had also served as Second Secretary at the Embassy of Malaysia in Rome, Italy from 1999 to 2002 and as Second Secretary at the Embassy of Malaysia in Harare, Zimbabwe from 1997 to 1999. Dato’ Mohd Khalid Abbasi Abdul Razak joined the Malaysian Public Service in 1995. He was the Undersecretary of West Asia Division from 2015 prior to his appointment as Ambassador of Malaysia to Argentina. He was previously the Consul General of Malaysia in Jeddah, Saudi Arabia from 2011 to 2015, Consul General of Malaysia in Karachi, Pakistan from 2008 to 2011 and Principal Assistant Secretary of South East Asia and South Pacific Division from 2006 to 2008. Dato’ Mohd Khalid Abbasi Abdul Razak had also served as Second Secretary at the Embassy of Malaysia in Seoul, Republic of Korea from 2000 to 2003. Mr. Agus Salim Haji Yusof joined the Malaysian Public Service in 1994. He was the Minister Counsellor at the High Commission of Malaysia in Pretoria, South Africa since 2016 prior to his appointment as Ambassador of Malaysia to Kingdom of Bahrain. He was previously the Principal Assistant Secretary of Administration and Security Division from 2013 to 2016 and Staff of the International Monitoring Team in Mindanao, the Philippines in 2012. Mr. Agus Salim Haji Yusof had also served as Counsellor at the High Commission of Malaysia in Bandar Seri Begawan, Brunei from 2009 to 2012, Second Secretary at the Embassy of Malaysia in Almaty, Kazakhstan from 2000 to 2005 and as Second Secretary at the Embassy of Malaysia in Kuwait from 1996 to 2000.